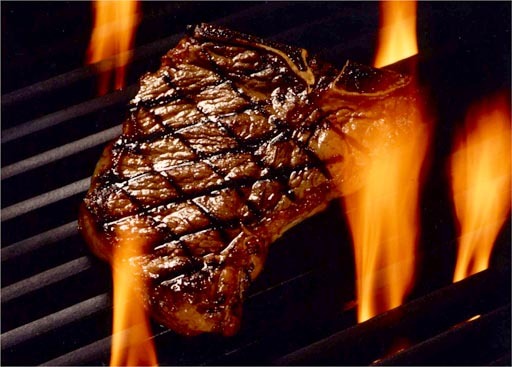 There are a few sayings in marketing, sales and fundraising that involve “Sizzle” and “Steak”. The most common is to “Sell the Sizzle, not the Steak”. At other times, a hard-nosed operator might be referred to as “All Steak, not much Sizzle”. However, you define them, the general idea is that you can sell things on promise or substance. Hopefully, your company/products can deliver both. This isn’t a political blog and, with independent/libertarian leanings, I haven’t chosen a horse in this presidential race. However, I ran across an example today of selling the Sizzle in the presidential race. I have no idea if the Steak is filet mignon or ground beef, but no one seems to match Barack Obama‘s current Sizzle. Will.i.am was inspired by Obama’s “Yes We Can” speech and turned it into a music video full of Sizzle (and celebrities). I’ve embedded it here. So…will Sizzle be enough to sell the American people?